A classic silhouette never goes out of style. 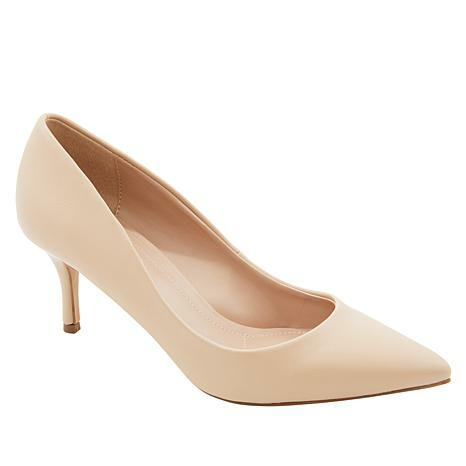 This chic pointed-toe pump is the perfect staple piece for your footwear collection. Appropriate for the office, special occasions and more. Love love love these shoes. Took them on a cruise. Looked fabulous with many different outfits! The navy base is super! Comfortable too with great heel height! 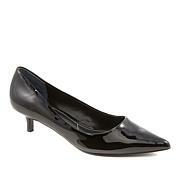 Finally I found a pair of pumps that are so very comfy. I'm ordering a few more pairs. True to size too! Sent them for Exchange to size 9 1/2. The 10 was a little too big. The heel size is perfect for me and although I have slightly wider feet, the medium width was comfortable and didnt squash my toes. Im so looking forward to getting my smaller size and wearing them out of the box.